Different talents of each child are a unique gift from GOD. These talents should be honed and developed through workshops, seminars, contests and others. Pupils of Balanga Elementary School are so blessed because they’ve given the opportunity to showcase their God-given talents by joining the BES Drum and Lyre Corps. As quoted by Dumas“All for One, One for All”, this is theme used by BES-DLC for this school year 2015-2016. Handling 60 DLC members was not an easy task for the coordinators because too many problems were encountered such as choosing the bandleader, motivating the DLC members to practice patiently and preparing the costumes and uniforms. But because of unity and camaraderie among each other, they’ve resolved every problem and difficulties that came their way. 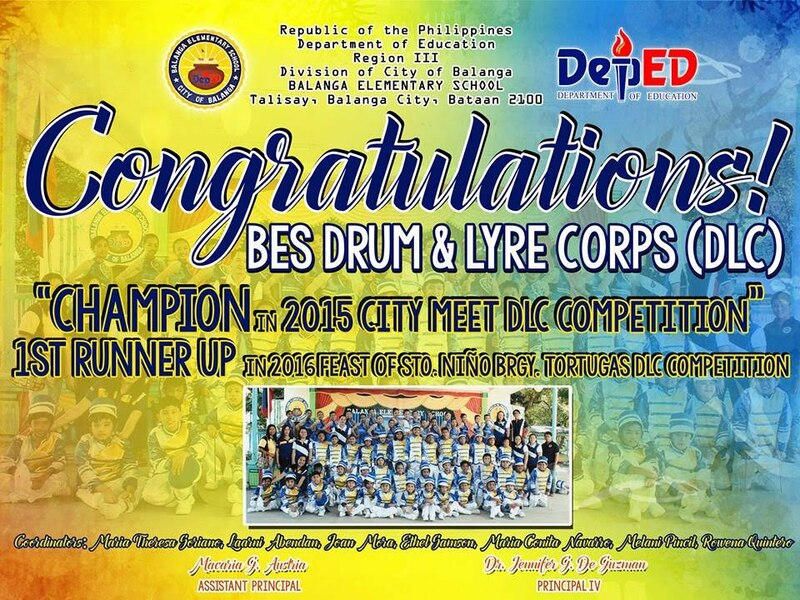 The hardwork and dedication of BES-DLC paid off because they’ve won the Drum and Lyre Fancy Drill Competition in the Division City Meet as champion; 2nd Placer in DLC competition in celebration of Viva Sto. Niño Fiesta at Tortugas, Balanga City and 3rd Placer in another DLC Competition at Brgy. Dangcol, Balanga City, Bataan. Indeed, BES-DLC is fantastic because they did an awesome performance for every competition they are participating with. Now, BES-DLC is still practicing and preparing for the Upcoming Provincial Drum and Lyre Competition to be held on April 9, 2016 in line with the celebration of Araw ng Kagitingan. 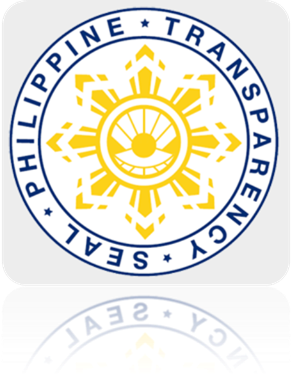 This is the first time for the BES-DLC to represent the City Division of Balanga in the prestigious provincial contest. Let’s hope and pray that their streak continues in the provincial competition.